Danny Hawkins says the bad things that happen in life are tools to prepare us to fulfill our destiny. He would know. As a child, Danny was the victim of severe abuse, neglect and trauma. Today, he is an advocate for those who face similar adversities in life. Danny is the founder and owner of The Hawkins Institute and Foundation, which owns Hawkins Educational Services, LC. He connects at-risk children, teens and adults with the resources needed to succeed in school and beyond. Danny tells his students that education is the key to leaving poverty, and he is a living example of this philosophy. The OTC, Missouri State, and soon-to-be University of Missouri graduate will attend Princeton University this fall to earn his second master’s degree. He is about to become an author, too. Danny wrote about his childhood experiences in a book with the working title, “Through the eyes of a child.” It will be published later this year. Danny grew up in the small town of Crocker, Missouri. Extreme poverty and domestic violence plagued his childhood home. In fact, two days before Danny’s fifth birthday, his father was shot and killed in front of him by his mother. Although she acted in self-defense, the woman later abandoned Danny. Thankfully, the authorities were notified when Danny did not register for school that month. They sent a caseworker to the home. She found Danny chained to a wall in his living room. He sat on a dirty foam pad – cockroaches were everywhere. The house was so filthy that the caseworker’s shoes stuck to the floor as she walked. Danny’s neglect was so severe that doctors and psychologists labeled him intellectually and developmentally disabled. 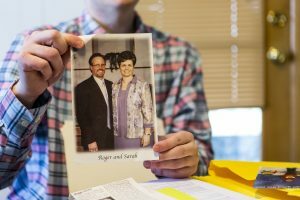 The state recommended he be institutionalized – but his elementary school teachers saw his potential. Danny’s teachers worked with him before and after school to help him meet all of his goals. He eventually walked across the stage at his high school graduation in the spring of 2000. However, his home life – and mental well-being – remained in shambles. When Danny aged out of the foster care system, he became homeless. He also suffered from a range of mental disorders at the time including depression and post-traumatic stress disorder. He attempted suicide six times as a young adult. 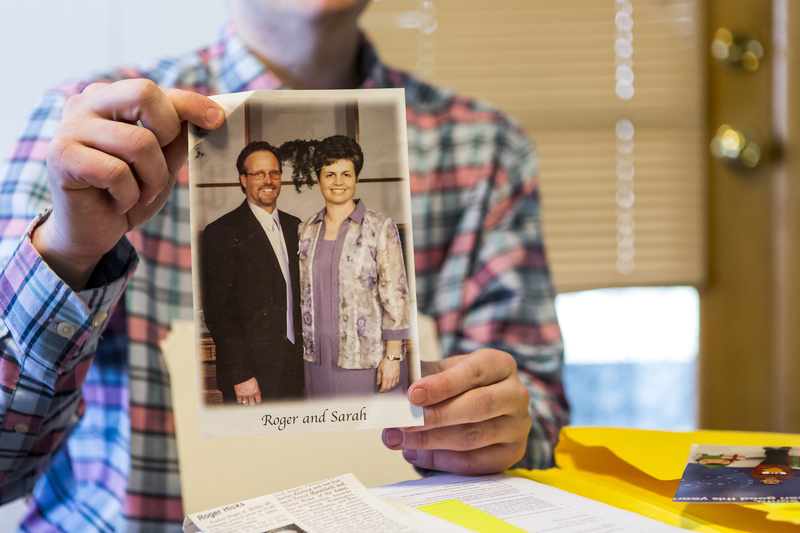 Danny shares a photo of Pastor Roger Hicks and his wife, Sarah. Danny says his life changed forever the day he met Pastor Roger Hicks of Calvary Baptist Church. Despite the fact that Danny was homeless, Pastor Hicks treated him as an honored guest at church. He sat Danny in the front pew and later invited him to Easter dinner with his family. Under the guidance of Pastor Hicks, Danny became ordained as a missionary through Calvary Baptist Church. He met his wife, Luciane (Lu), while on a mission trip in Brazil. The couple was married in 2005. They have an 11-year-old son named Daniel. Danny and his family returned to the United States in 2010. After settling in Springfield, Danny and Lu decided to pursue college degrees. Danny said he and his wife chose to start at OTC due to the support systems that existed within the college. 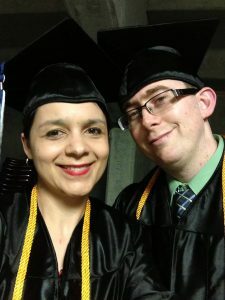 The staff helped Danny and Lu apply for federal student aid, and they also connected Danny to Disability Support Services – a resource that Danny credits with helping him thrive at OTC and beyond. Julia Holmes, who was the college’s assistant dean of Disability Support Services at the time, said she was impressed by Danny’s resilience and determination. Danny said the small class sizes at OTC as well as the attentiveness of his instructors played a role in his success. “OTC gave me the confidence to continue my education at Missouri State, Mizzou and now Princeton,” he said. “Before OTC, I didn’t think I could go to college at all. But the staff and instructors at OTC, they really pushed me to succeed,” he said. 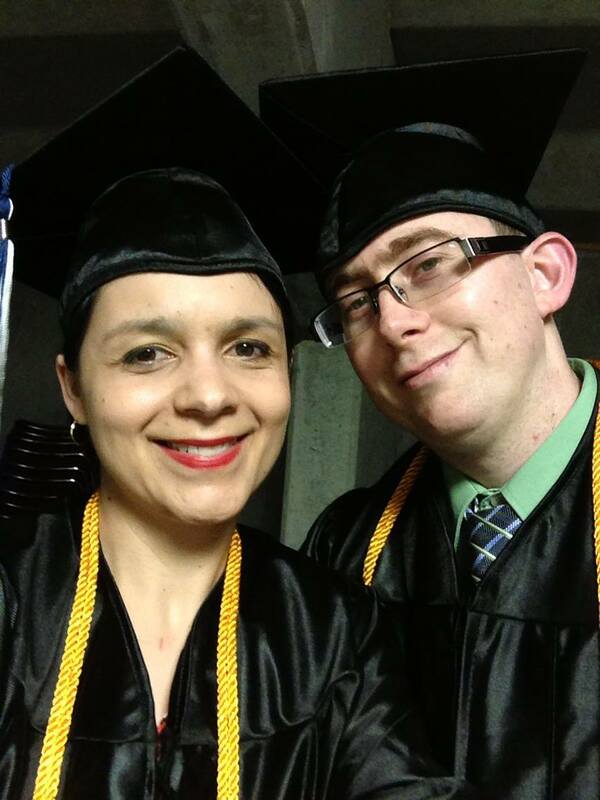 Danny and his wife graduated from OTC in 2013. After that, Danny transferred to Missouri State University where he earned a B.A. in general studies with emphases in social work, modern and classical language (Spanish and Portuguese), and education. Upon graduation, Danny founded his nonprofit organization, The Hawkins Institute and Foundation. He was also accepted into the University of Missouri. 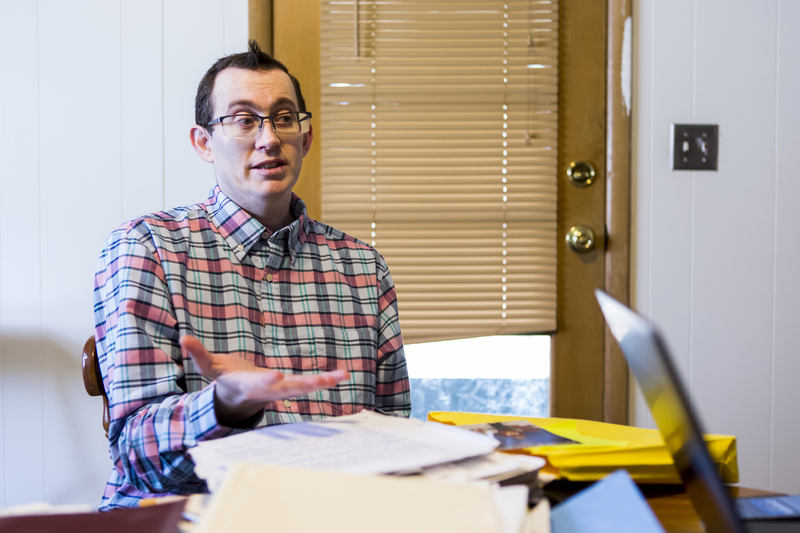 He will graduate this summer with a master’s degree in educational leadership and policy analysis. Once he graduates from Mizzou, Danny will head to Princeton University – “just for fun,” he says. He will pursue a master’s degree in divinity there this fall. The Ivy-League school boasts a 7 percent acceptance rate. “I was searching for theology programs online because I really enjoy studying church history,” he said. “I decided to apply to Princeton’s program on a whim – it was the day before the application deadline, and I guess they really liked my story,” he added with a smile. While Danny will have to fly to New Jersey occasionally for class, he can complete the majority of his program online. Danny’s wife also plans to continue her education this fall. Lu will pursue her doctorate in education at the prestigious Johns Hopkins University in Baltimore. Danny expects his book, “Through the eyes of a child,” to be published later this year. The book will be available through Amazon and other online retailers; it will also be in the local artists section at Barnes and Noble and at Christian bookstores across the United States. The book is the first of what he hopes will become a four-part series. He plans to use the book sales to support his nonprofit organization. He would also like to set up a scholarship for OTC students through the college’s foundation. Danny says – above all else – it is his calling in life to help others.